Disco synth thrums against my ears as my shotgun thumps back against my shoulder. I don’t know why I’ve come to this shady nightclub. I don’t know who the dozens of faceless thugs I’ve murdered work for. I don’t know why I’m wearing an animal mask. And I don’t know what to make of the shadowy ghosts hanging out in my apartment. I feel like I’m going crazy. 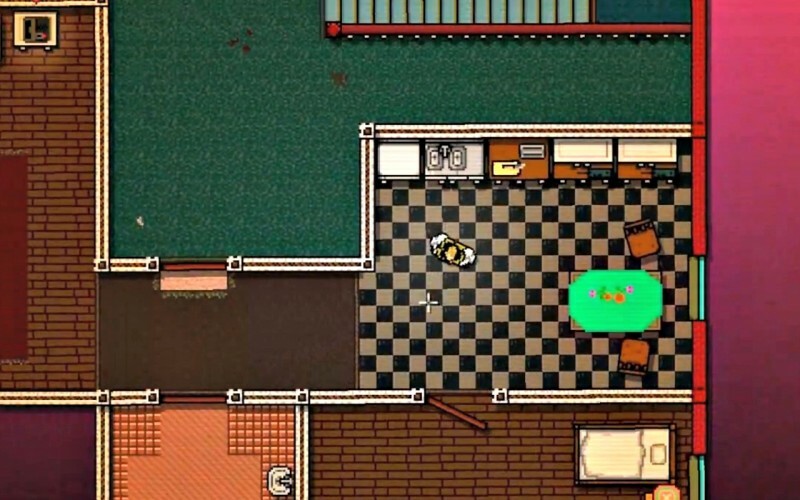 In spite of Hotline Miami’s simple 8-bit inspired graphics, this inventive indie title does a great job of putting you inside the head of a deranged criminal trapped inside a nightmare of criminal wetwork. 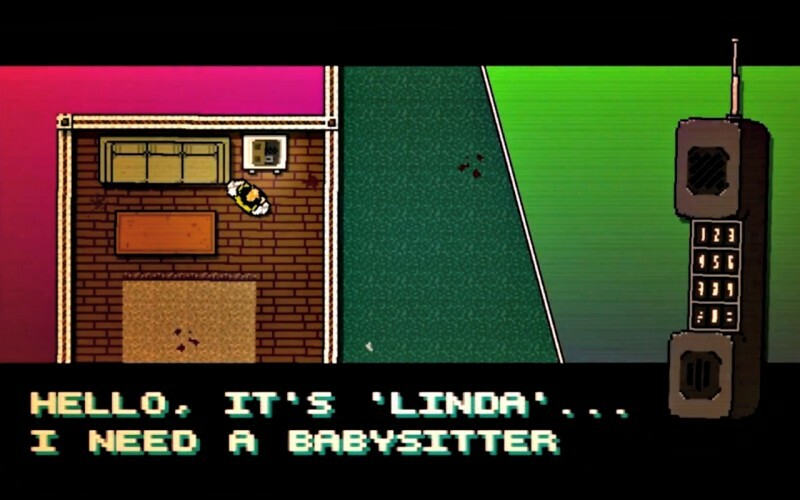 The game is entirely unsettling, but that’s what makes it worth playing. 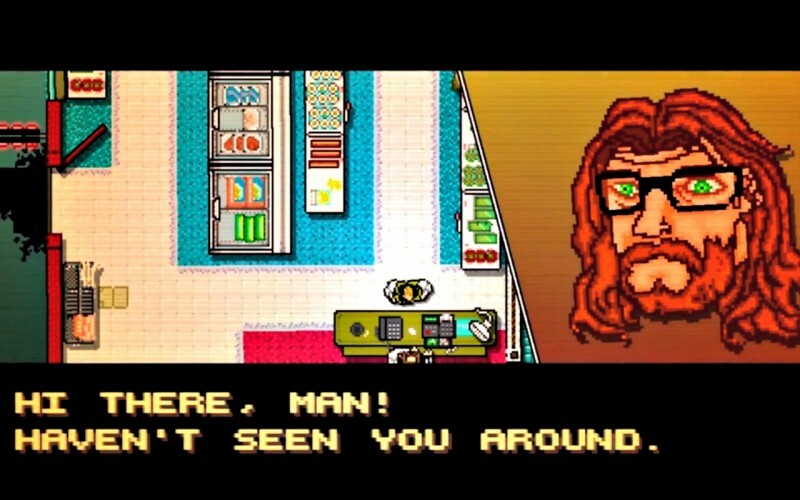 Before each level, you wake up inside your apartment and receive a call from some random person claiming to be a store clerk, office manager, or babysitter who gives you an address and tells you to pick up your order, tour a rental property, or come in for a medical checkup. What’s going on isn’t clear, but the world around you is obviously not as it seems. As these missions progress, they tell a subtle and unnerving narrative about the history of the silent protagonist. The final revelation at the end of the game doesn’t answer all of your questions, but it provides an interesting commentary on game design and the video game medium as a whole. 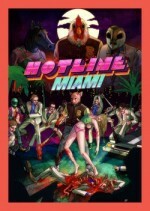 Dennaton Games did a great job infusing Hotline Miami with the neon-lit, cocaine-fueled vibe of 1980s Miami. Unfortunately, the gameplay is more frustrating than fun. 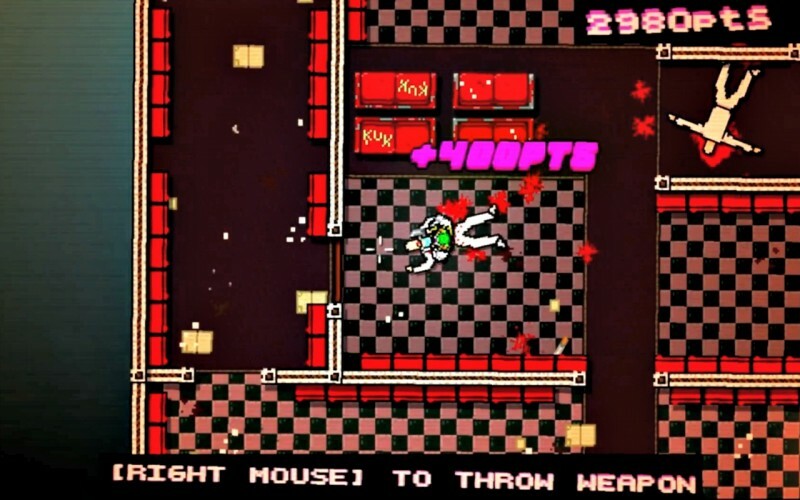 Hotline Miami action is energetic, but the game lacks controller support (though since I played the game they added controller support), so navigating each level with a keyboard while engaging in frantic combat is often a bear. 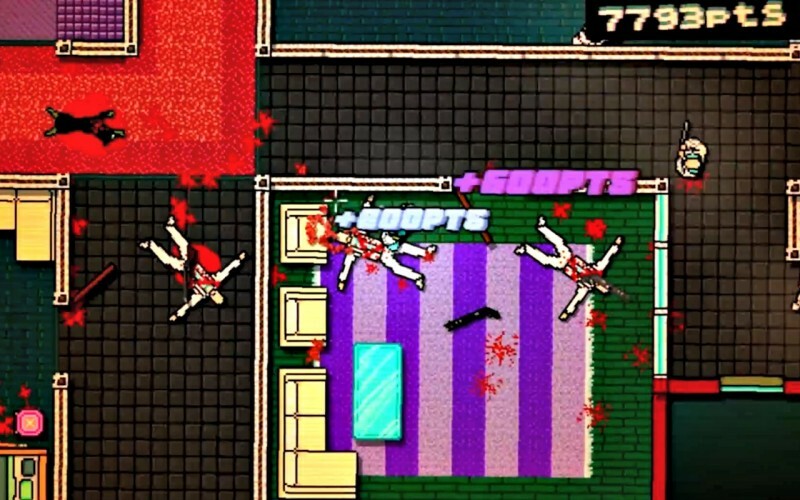 The goal for every level is to kill everything that moves, and a combo system encourages you to keep your kill streaks going. Achieving higher scores allows you to unlock new weapons and animal masks that give you special properties such as the ability to walk faster, silence your gunfire, or increase your ammo. 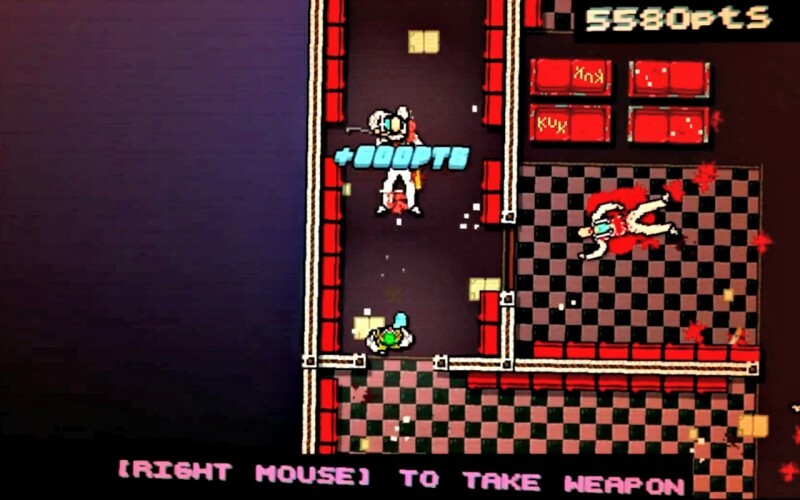 Moving slowly through rooms and silently eliminate your enemies with bats, crowbars, and knives occasionally pays off, but guns make much more effective killing tools. 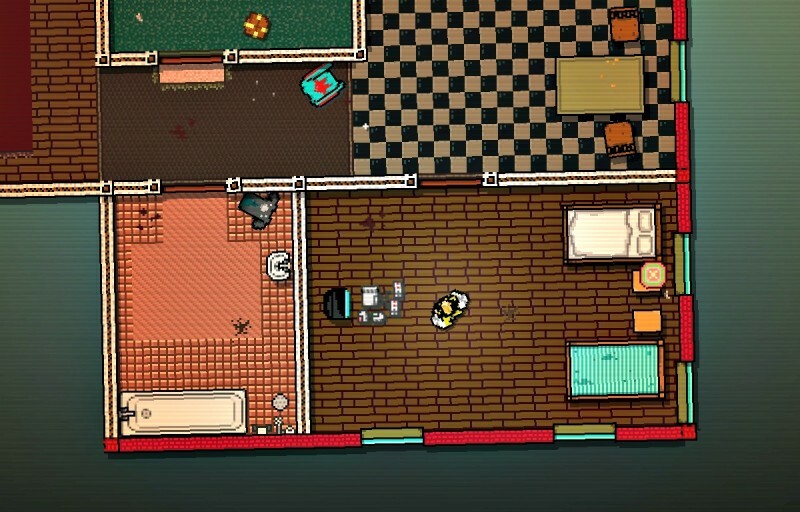 Unfortunately, a single gunshot will send a stream of enemies running into your room to investigate, so you need balance, speed, and caution. 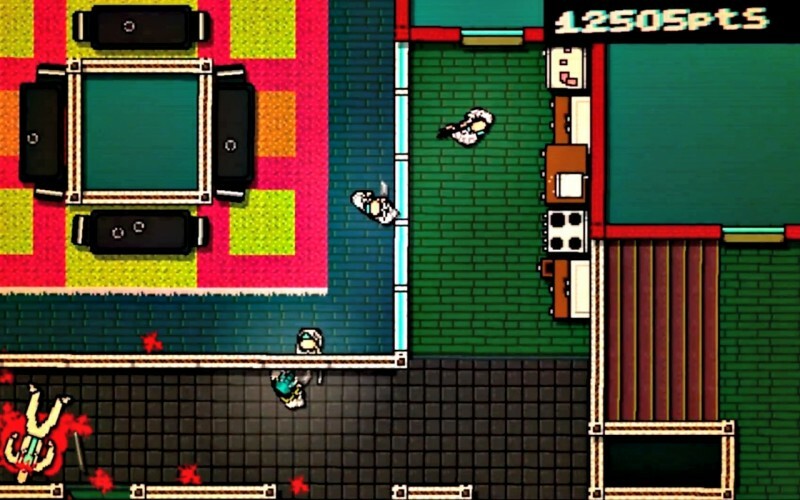 Once you find your flow, Hotline Miami opens up. 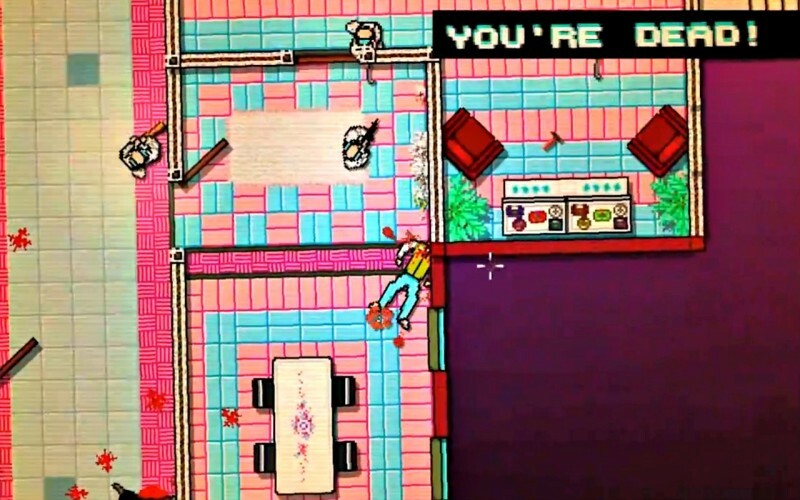 Systematically working your way through each room and murdering every thug is a harrowing experience, but the faster your move, the more reckless you get. And the more reckless you are, the more likely you are to end up a bloody stain on the floor. Even if you are cautious, you still die a lot. Enemies move nearly as fast as you do and sometimes sneak up on you from behind. Thanks to the clunky controls, many of these deaths feel unfair. Much like Super Meat Boy, you have to play each level over and over again until you get it down pat – continually perfecting your strategy and learning to react to the occasional curveball thrown your way. 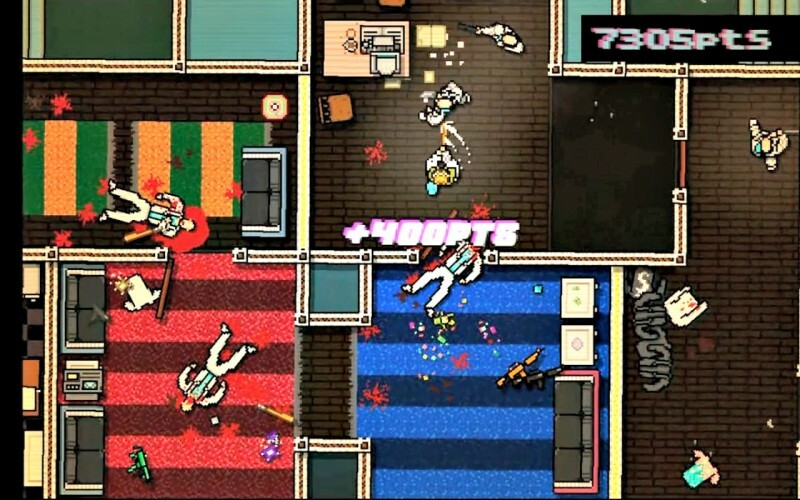 Hotline Miami has more style than substance. The music and story presentation perfectly place you inside the mind of a serial killer. I loved the intensity of the basic design and the challenge of trying to think on my feet, but the clunky controls and repetitive action inhibit what is otherwise one of the most creative indie titles of the year. Despite all of my frustrations, after extended breaks, I found myself coming back for more. 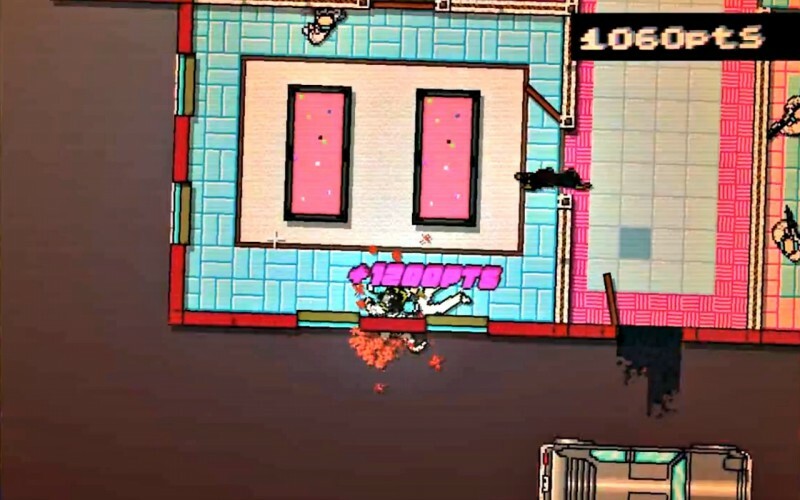 Hotline Miami’s uneasy ambiance and frenetic action have an odd allure. a deranged criminal trapped inside a nightmare of criminal wetwork.